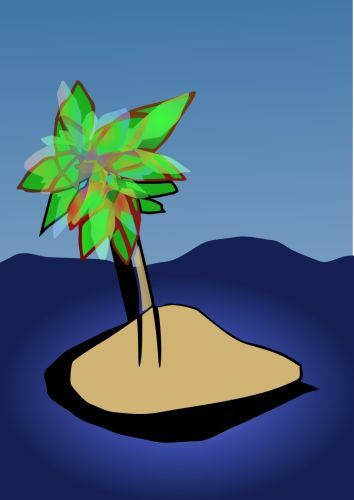 I thought I’d take a break from getting to grips with Inkscape to try my hand at this weeks IllustrationFriday topic, Island. For this I just wanted to create a simple representation of the word. At the moment I’m not quite getting the same depth as I would with my older work, but that’ll come with time.